Notice! Senza The Inn Resort & Spa Hotel - ZEN Hotel does not accept reservations at this time. Please try again later. Senza The Inn Resort & Spa Hotel - ZEN Hotel Contact. Located only a few metres from the sea, The Inn Resort Hotel offers an outdoor pool, water slides, and a spa&wellness centre. The hotel has a private pebble beach just a few steps away. Tastefully decorated, the modern rooms of The Inn Resort have a warm setting. All rooms include a flat-screen TV, air conditioning and a balcony. Free Wi-Fi is also available. The main restaurant offers breakfast, lunch and dinner in open buffet style. 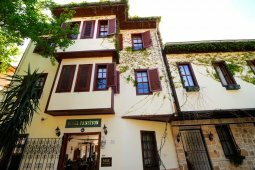 Istanbulue Restaurant serves Ottoman cuisine with an à la carte menu. You can also enjoy seafood at Ocean Beach Restaurant. Lobby Lounge Bar offers a variety of local and imported alcoholic and non-alcoholic drinks. Spa facilities include a sauna, Turkish bath, massages and a heated indoor pool with a hot tub. A tennis court and a fitness centre are also available on site. Alanya town centre is within 20 km. 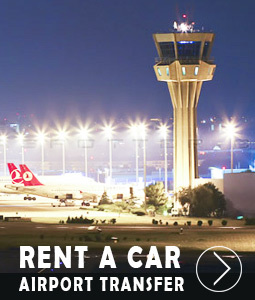 Antalya Airport is 105 km from the hotel. Senza The Inn Resort & Spa Hotel - ZEN Hotel accepts VISA and reserves the right to temporarily hold an amount prior to arrival. Senza The Inn Resort & Spa Hotel - ZEN Hotel accepts Master Card and reserves the right to temporarily hold an amount prior to arrival. Senza The Inn Resort & Spa Hotel - ZEN Hotel accepts Maestro and reserves the right to temporarily hold an amount prior to arrival. Senza The Inn Resort & Spa Hotel - ZEN Hotel accepts Bank card and reserves the right to temporarily hold an amount prior to arrival. Senza The Inn Resort & Spa Hotel - ZEN Hotel accepts ATM card and reserves the right to temporarily hold an amount prior to arrival. Pets and guide dogs are not accepted. Standard Room: 24 m² wide. Family Dublex Room: 30 m² wide. The facility was built in 2013. Internet access in rooms and public areas is available at a charge. The resort consists of 7 cats and 6 lifts. Soft drinks are free on the day of entry to the minibar. In the following days only 1.5 lt. water is free of charge. Meeting and Banquet Hall - Hall Inn: Cinema Class 750 students - Classroom 600 students, Ballroom 400 students. Meet Inn: Cinema Level 400 pax - Classroom 250 pax, Ball pax 150 pax (stage, overhead projector, barcovision, flip chart, curtain, microphone) equipments are available. Access to the pool is possible by haşema. The entrance to Senza The Inn Resort rooms starts at 14.00. The departure time from the rooms is no later than 12.00. Tesise pet is not accepted. The use of outdoor open spaces is subject to seasonal conditions. The Ultra All Inclusive accommodation is accompanied by an evening meal, includes dinner until the number of nights left, and ends with lunch on the day of departure. Single child 0-12,99 years free of charge. In Mr. sales, price difference is applied in all rooms. Services are very poor. The staff is very impressed with the visitors. There is no interest in visitors. More than an hour waiting for any service like a towel or a blanket. Exaggerated employees do not respect visitors. I would not recommend anyone to come to this hotel. Not worth $ 10. Now write this text after waiting an hour and a half for a blanket and after 3 connections to the reception desk and finally start yelling at me. Not really fancy, but really fun. Good for the family. Not bad hotel. But it's not more than 3+ stars (still good for Turkey) but not 5. Nice and New hotel , big pool and quite nice aquapark. Food isn't so good. If You like this kid of huge hotels , i would recommend it.